The upcoming release from IGT, Action Jack, is available exclusively early at 2 online casinos – both offer you exclusive welcome offers too. Action Jack takes you to the depths of the jungle where you go in search of ancient treasure with intrepid explorer Jack. With 5 reels and 40 paylines, you can play from as little as 40p per spin across desktop, mobile and tablet devices. Visually reminiscent of a land-based video slot, Action Jack sees treasure maps, waterfalls, palaces, jewels, mysterious statues and volcanos on the reels. Action Jack himself is the wild which performs to the usual substituting duties – he also appears fully stacked to give you bigger wins. There’s a Synchronised Reels feature where the stacked reels can sync to display the same symbol for enhanced winning potential. 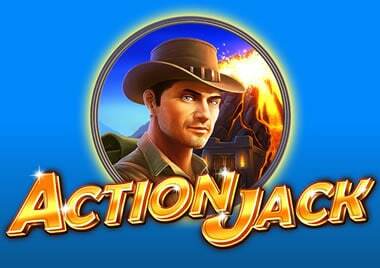 However, Action Jack is all about the Free Spins Bonus feature where you’ll begin with up to 60 free spins. With each free spin subject to a trebling (3x) multiplier, you can retrigger the feature various times to give you a total of 500 free spins – all with a 3x multiplier. This can lead to payouts of 3,000 times your total bet on every single free spin. For more details, and to try for free, check out the Action Jack video slot review. 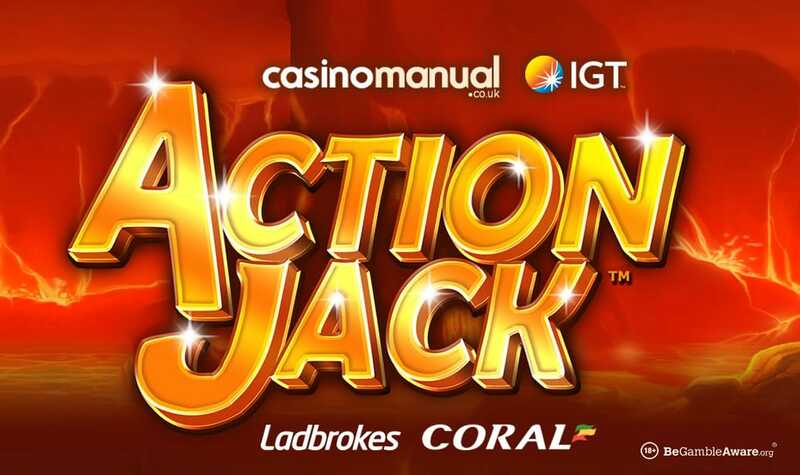 Action Jack is available at 2 online casinos exclusively – they are both part of the same group. First up is Ladbrokes Casino who welcome all CasinoManual.co.uk readers with an enhanced 100% first deposit bonus up to £500 – i.e. deposit £500 to get a £500 bonus. The other option is Coral Casino – they have 24/7 customer support, same day cashouts and a whole host of video slots. Get started and deposit just £10 to get 50 free spins on a selection of Age of the Gods games from Playtech. These free spins are ‘free’ as they come with no wagering requirements whatsoever.